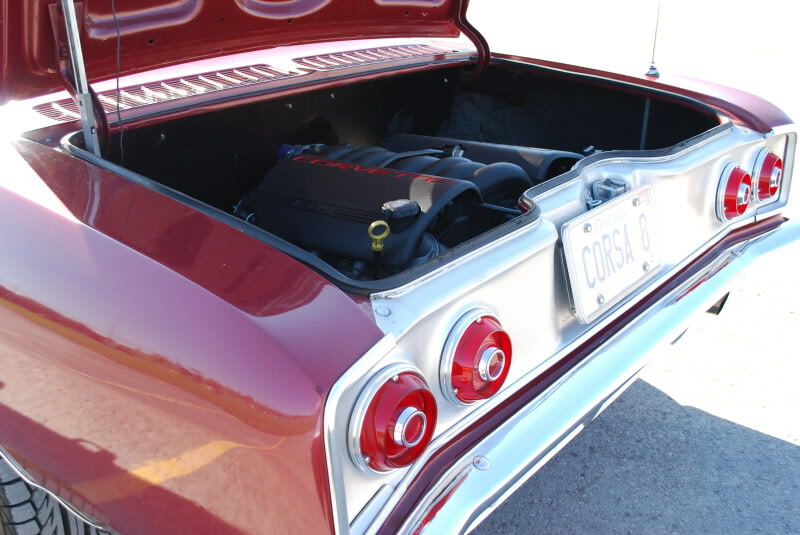 Canadian built 66 Turbo Corsa that was purchased in 1980 from a local wrecking yard for $50. 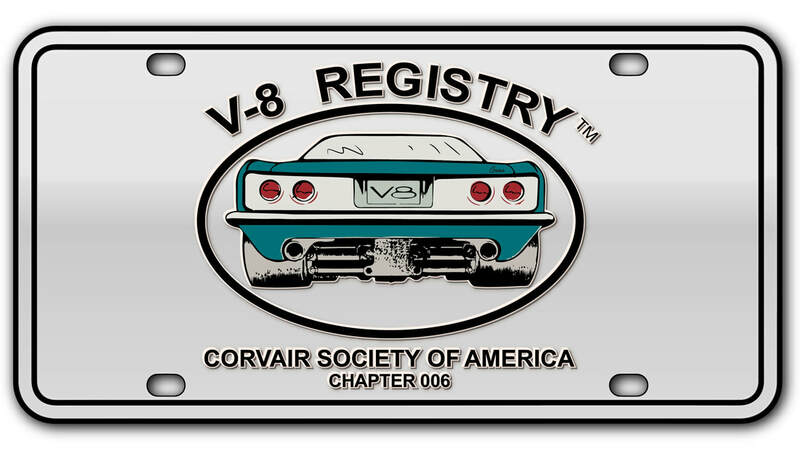 The car was purchased with the intension of converting to a V8. 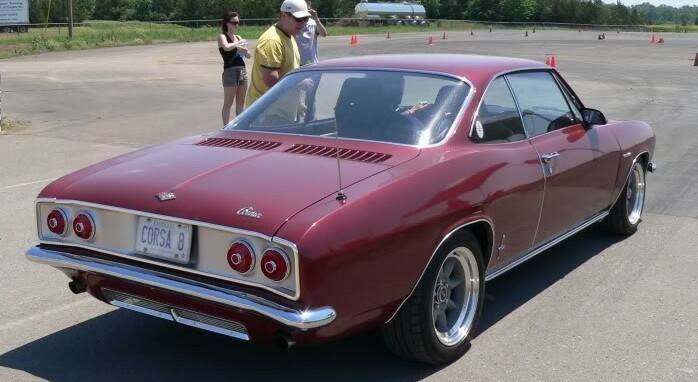 After meeting Art Silva at Limerock park it was decided that a Reverse rotation Olds V8 would be swapped in. The reverse rotation Oldsmobile conversion was completed in 1982 and went through several iterations until 2000 when the camshaft flattened out some lobes. 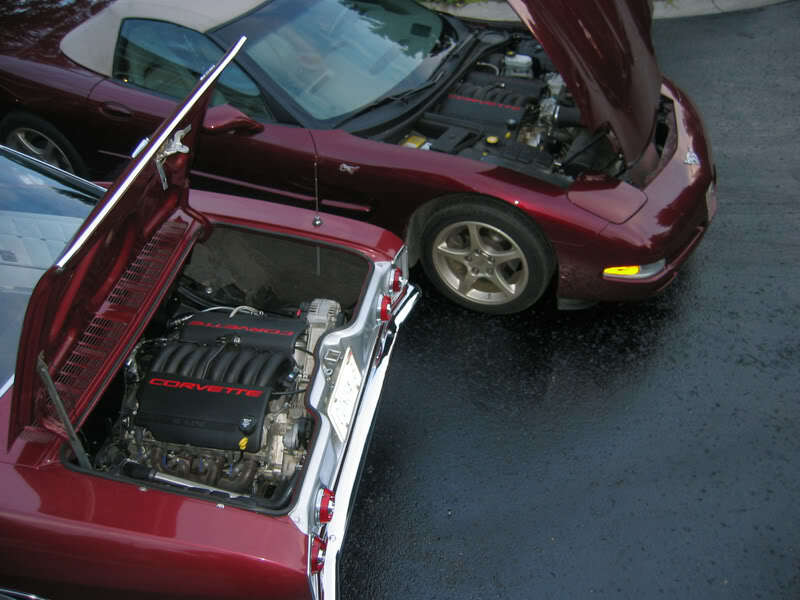 At the time it was decided to replace the Olds V8 with something more modern and a 2003 Corvette LS1 was purchased. 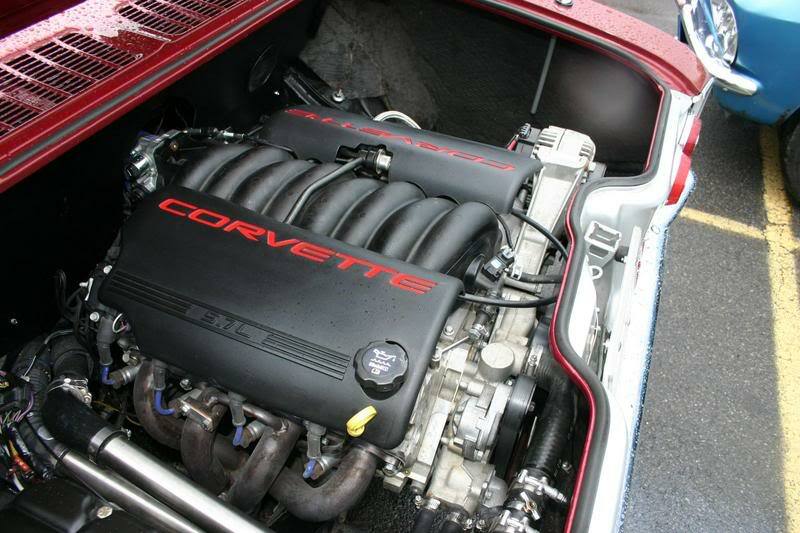 In stock form the engine makes 350 hp and weighs 420 Lb. 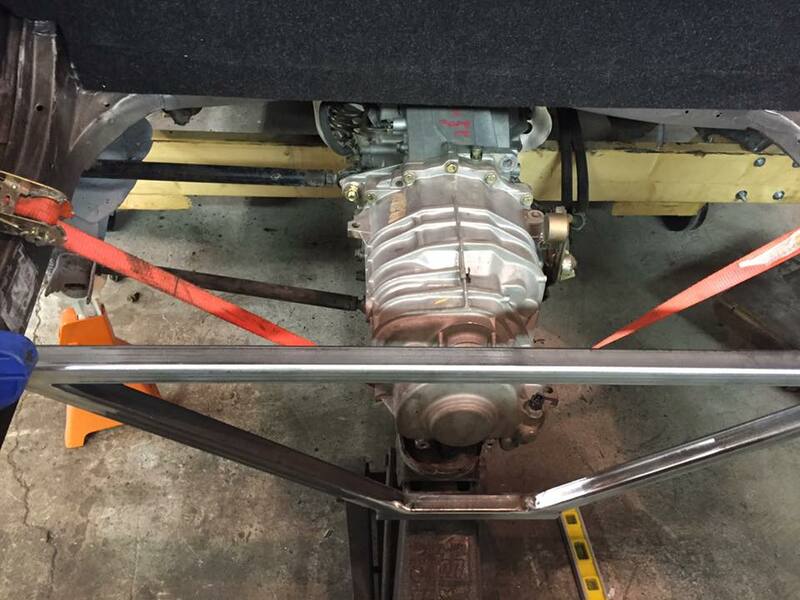 In addition to the modern Corvette motor a Porsche 930 turbo transmission was selected for its strength. The conversion has been completed for 6 years and many thousand miles. 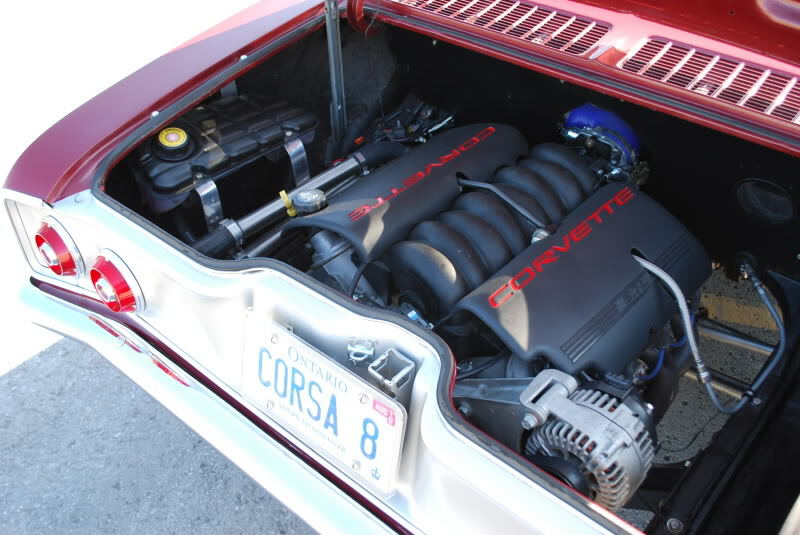 The engine runs cool and with some minor bolt-ons makes 380hp and runs as smooth as a new Vette. The car weighs in at 2730 lbs. with an aluminum radiator, Recaro seats and an Autopower Roll bar. 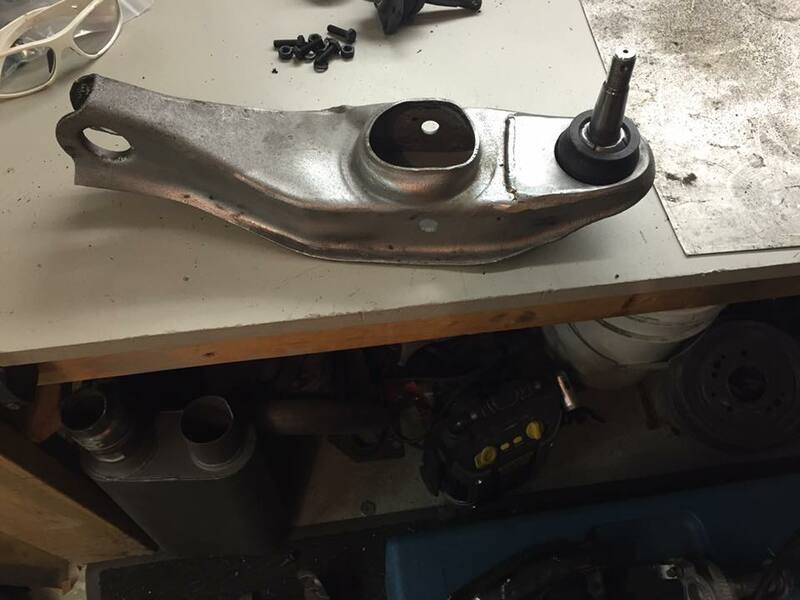 My right rear wheel bearing started to howl so I have disassembled the rear suspension (it is 30 yrs since I put the 215 Olds in ,then replaced with Vette motor in 2005) On disassembling suspension found many parts that needed replacement and attention. Will forward photos and rebuild shortly. 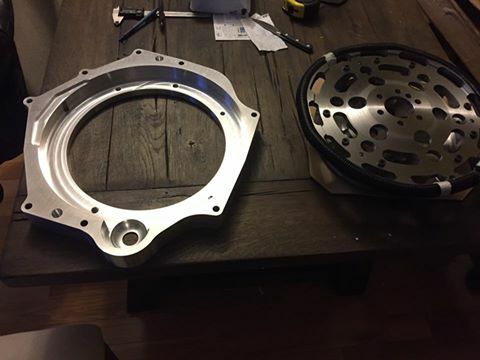 LS1 to Porsche 6 speed adapter arrived today. 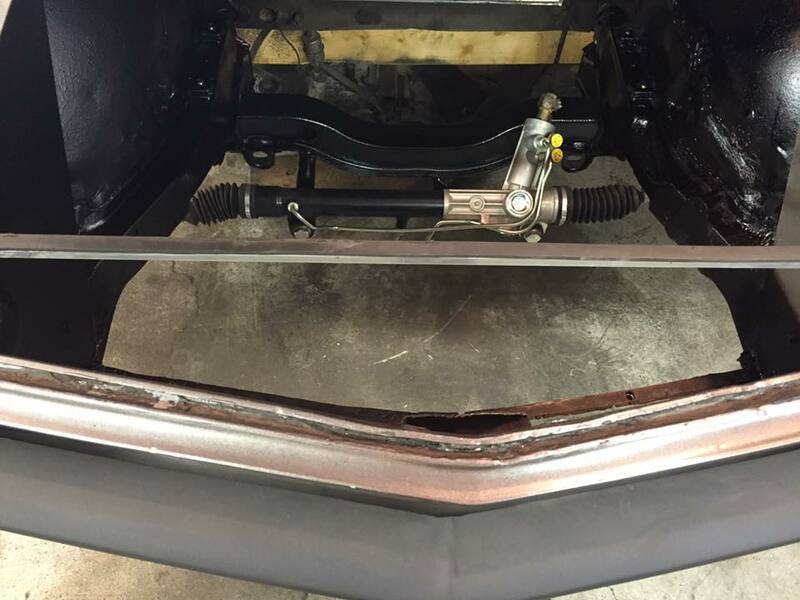 Lower Corvair A arm modified for a S10 lower ball joint (drop spindles) and my power steering rack. Speedhut gauges with the V8 logo in them for my LSX / boxster trans car. Used Seths gauge plates. Getting excited! 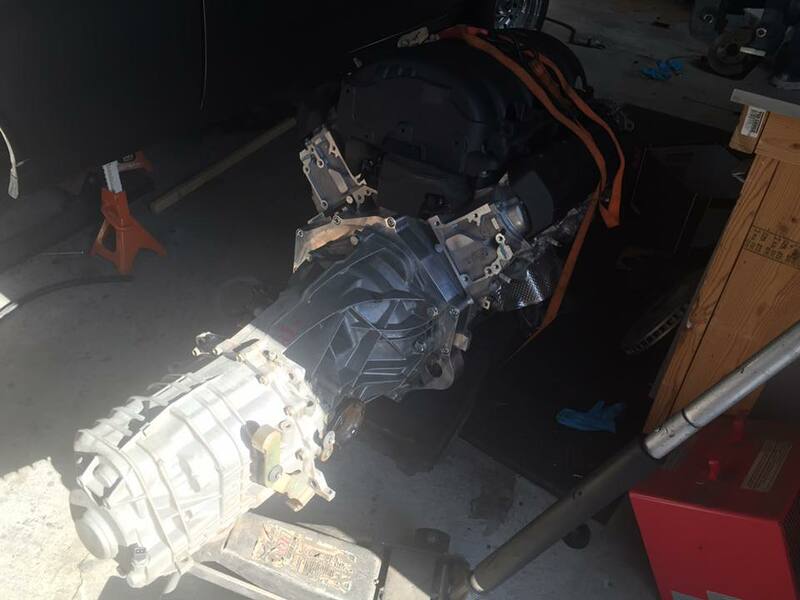 LS1s are so yesterday, so dad and I decided to build a mid engine, 2016 LT1 direct injection v8 with a boxster 6 speed. Sorry for the pic quality. It's the first adapter Kennedy has made as the LT1 has quite a few differences.